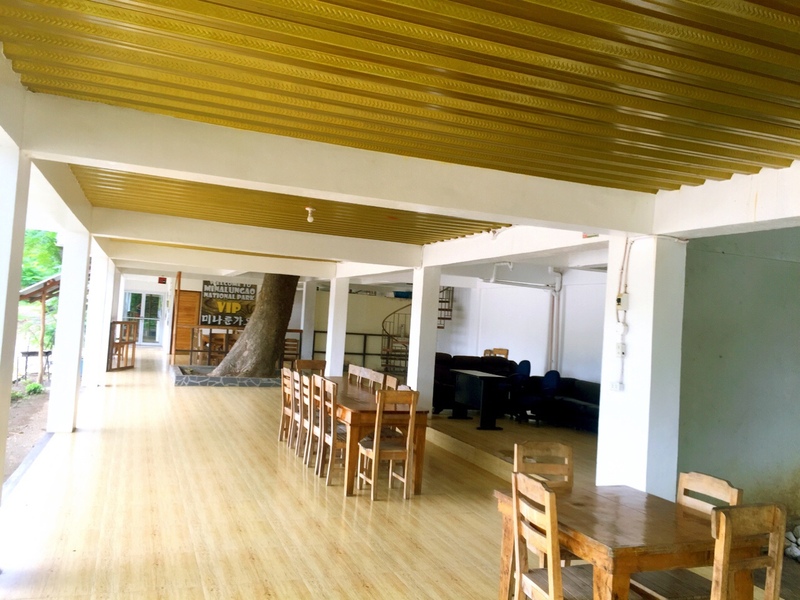 Nueva Ecija has no shortage of awesome things to do. You may be surprised that even if it’s a land-locked province, it has a body of water that could bring out the adventure seeker in you. A secret that’s already out and almost every adrenaline hungry and nature-loving traveler knows. I’ve never heard of Minalungao National Park until a friend from Nueva Ecija mentioned it to me. And since I haven’t tried rafting yet, it was an easy decision to set out for a little road trip and visit this natural sight. 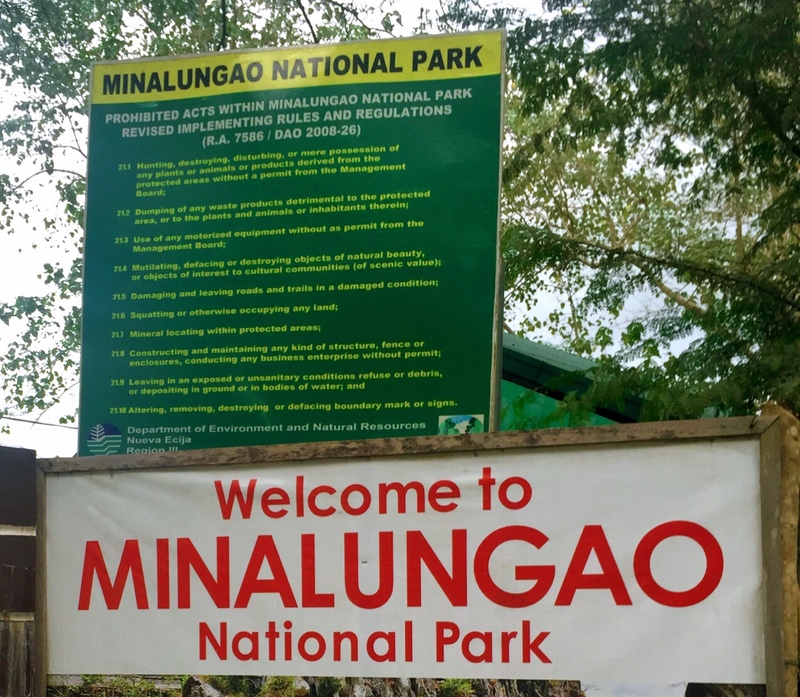 Minalungao National Park is a protected area of the Philippines located in the municipality of General Tinio, Nueva Ecija in Central Luzon. 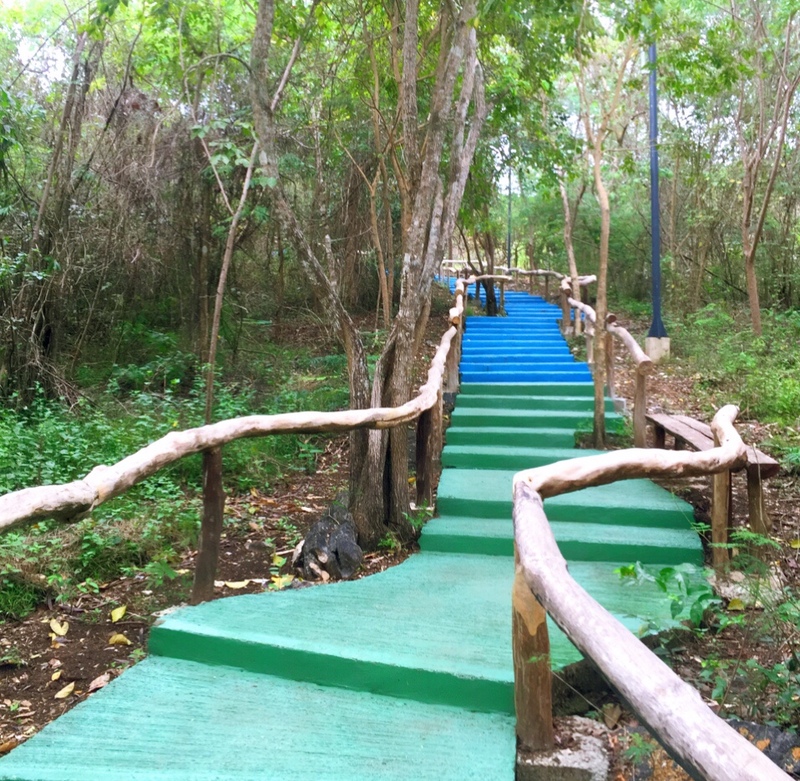 The park covers an area of 2,018 hectares centered along the scenic Peñaranda River bordered on both sides by up to 16-meter high limestone walls in the foothills of the Sierra Madre mountain range. It was established in 1967 by virtue of Republic Act No. 5100. Bus: If you are travelling from Metro Manila, You can reach Nueva Ecija thru buses bound to Gapan/ Cabanatuan City- Baliwag Transit, ES Transport, Five Star, and Golden Bee. These bus lines are located in Cubao, Caloocan and Pasay. Estimated travel time is 2-3 hours for a fare of Php150-200. You can try the Baliwag transit because it has a direct access to general Tinio where Minalungao Park is located. 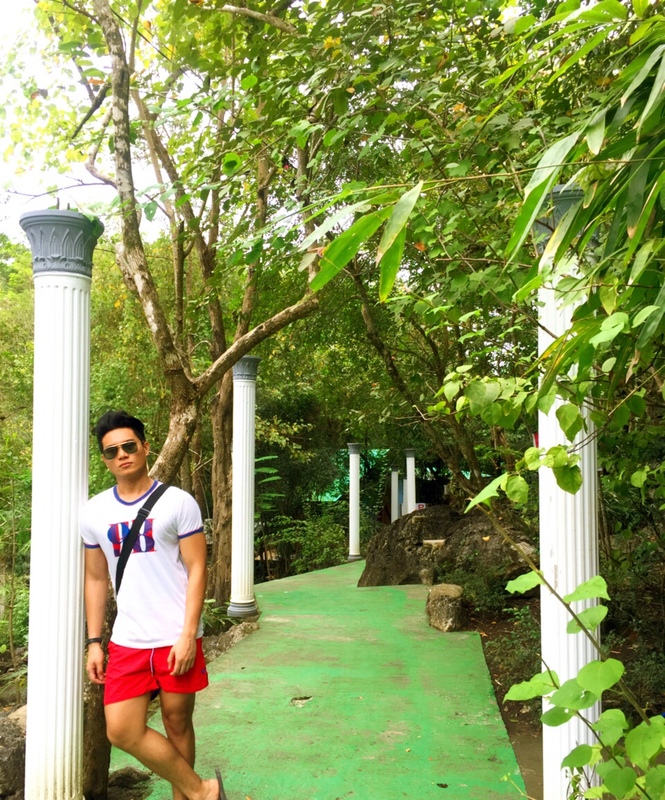 From Gapan, ride a jeep to General Tinio and then take a tricycle to Minalungao Park for just Php50 per person. The ride takes 45 minutes to an hour. Private Vehicle: Travel north via NLEx and take an exit at Sta. Rita. Then take Candaba-San Miguel Road until you reach Bucana, Gapan. A portion of the road is still rough and there is road construction that’s ongoing. Travel time may take from 4 to 5 hrs. Leave early in the morning to avoid the traffic build-up at Candaba, San Miguel and Gapan. There is a parking area right next to the picnic grounds for all types of vehicles. The place has been developed to cater the influx of tourists. There’s a hotel and a man-made swimming pool for those who would want to stay overnight. The hotel has a balcony that’s facing the river which will give you a good view while having a sip of your favorite drink. 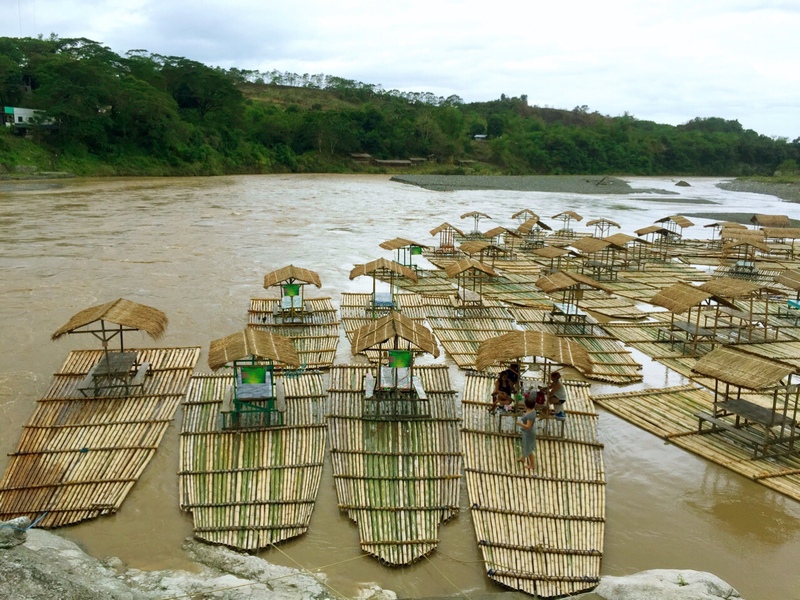 Rafting: Travelling down the Peñaranda river on a bamboo raft is the main activity to do.The raft will take you to the swimming area while enjoying the scenic limestone walls. 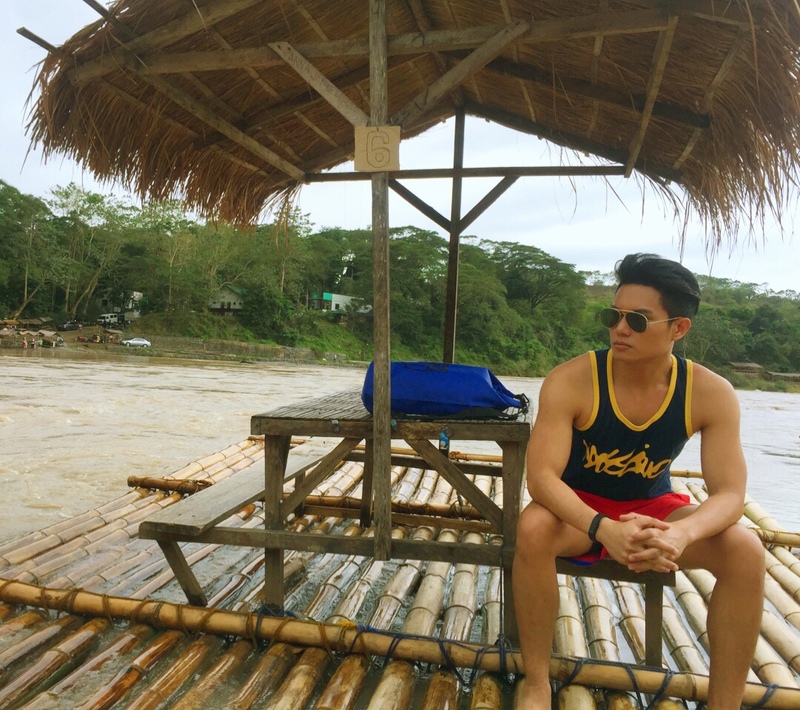 Raft rental fee is Php600 with a maximum capacity of 8 persons with the life vest included. 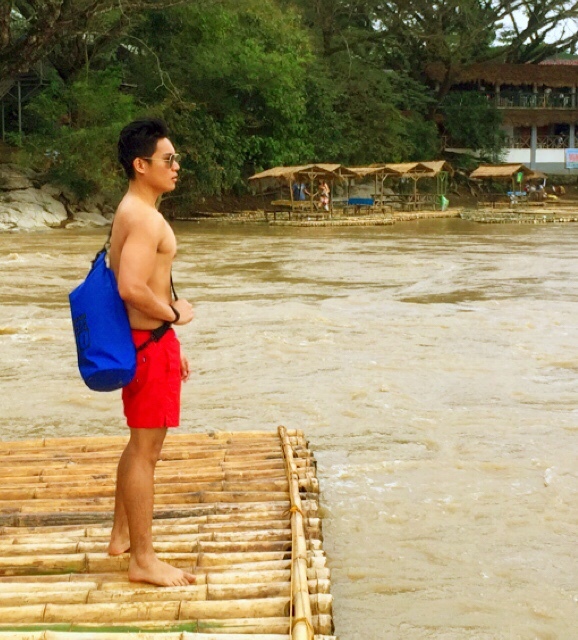 No person shall be allowed to ride any bamboo raft without a life vest. Cliff diving: You can climb up the base of the rock formations and jump into the waters. Ask the operator of the raft first if you can dive to exercise caution because the water current can be very strong at times. 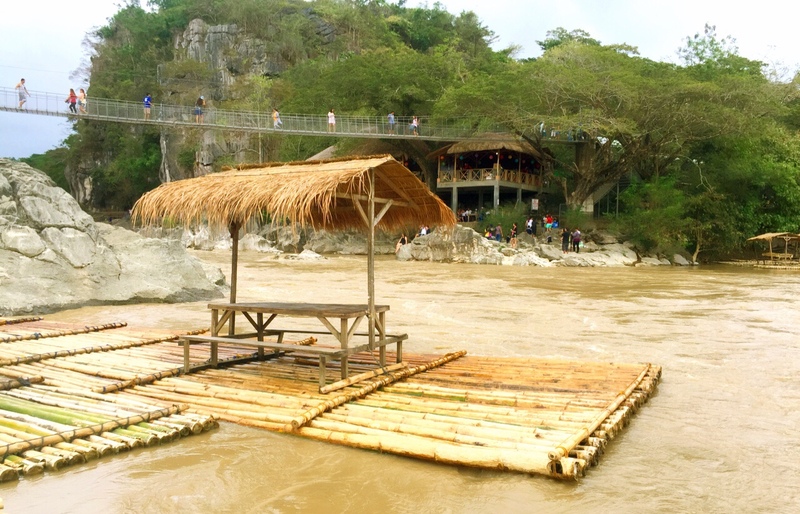 Cross the hanging bridge: This steel hanging bridge will give you the best view of the river and the limestone cliffs. Can be frightening, but this is the way to get to the other side of the river where other activities can be done. Trekking/Hiking up 1000 steps: The fun never ends by the river. 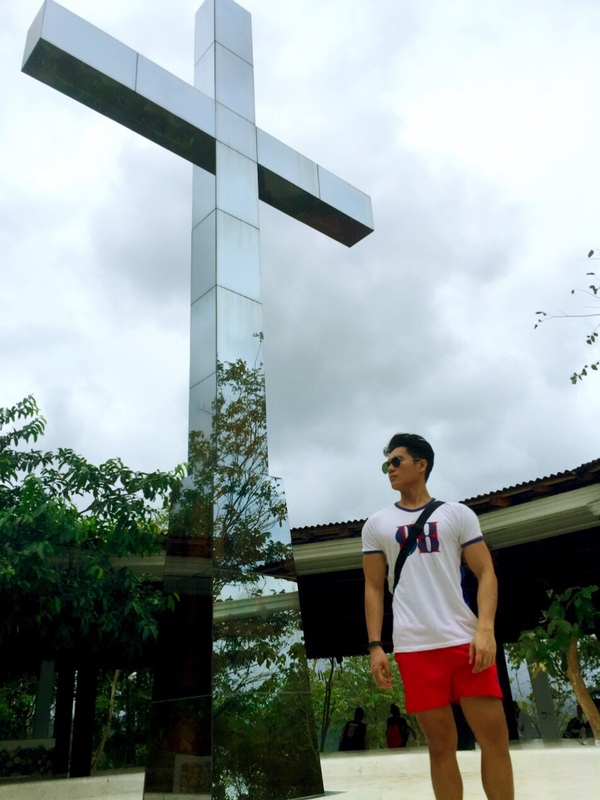 There’s a well paved 1,000 steps pathway that will lead you to a mountain top where a glass-decked cross stands. 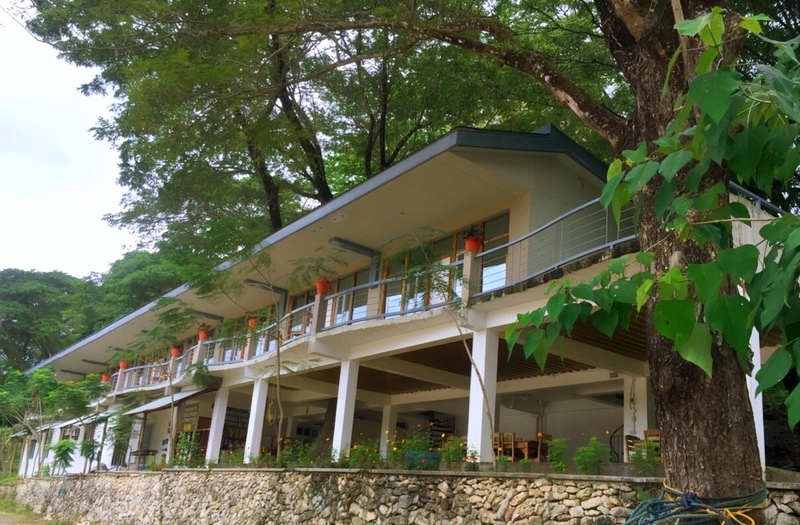 From there, you can enjoy the breathtaking view of the Sierra Madre Mountain Range and its refreshing air. 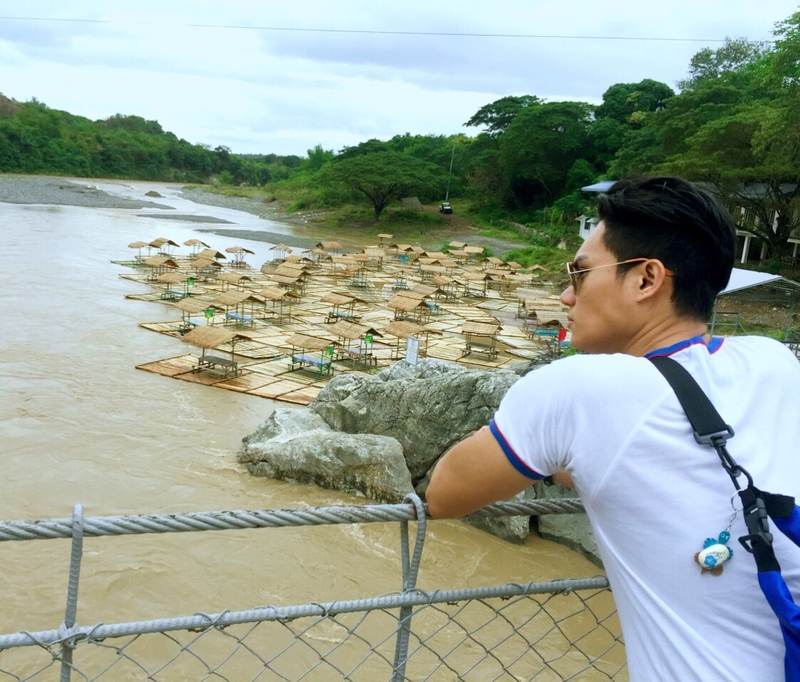 Zipline over the river: Zip away for only Php100. This is an activity that you would not want to miss for you to enjoy the view of the entire park. Picnic beside the river: This is one of the scenic places to have a picnic on. 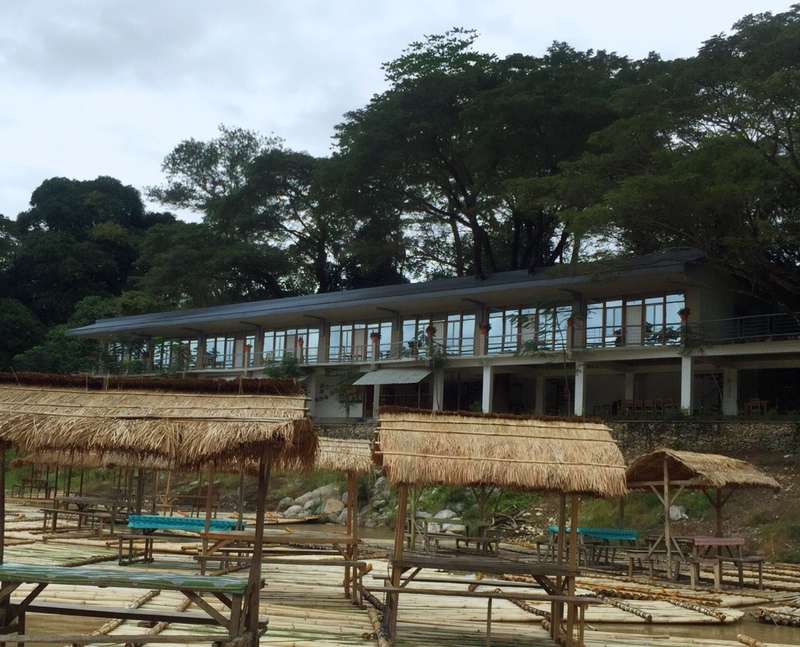 You can enjoy having lunch or snacks in the raft with built-in tables and chairs or in the cottages beside the river. You can bring your own food or buy at the food stalls within the park. I went there with average expectations but I was blown away by the natural beauty of this place. The Local government must be careful not to spoil this gem. This is definitely a must see. The water is blueish green when we went there. But you took really nice pictures. It would have been nicer if you went there on a good weather though.